Unfortunately known for rusting out brake lines, we offer NICOPP - Nickel/Copper mix brake line replacement for your General Motors vehicle so that you will never have to worry about rusted brake lines ever again! // Applicable Models: 1500, 2500, 3500, Tahoe, Suburban & Escallade. GM brake lines have never been known for their longevity. This is especially true on 2000+ models. 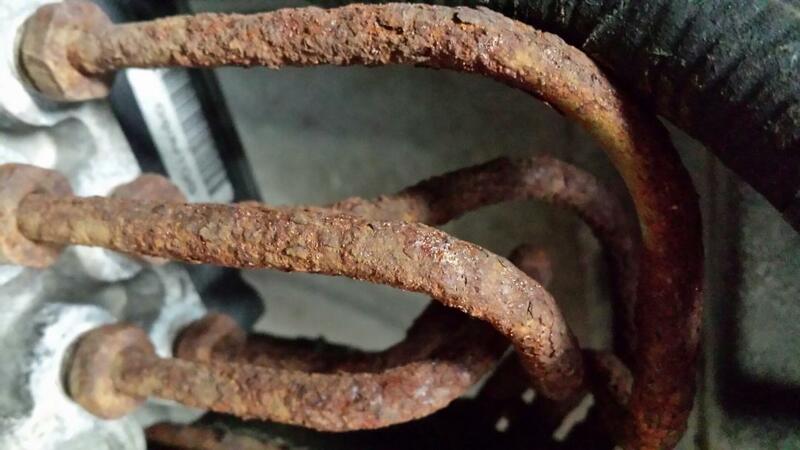 We have seen a large increase in these vehicles failing state inspections due to rusted brake lines. These lines are dangerous and need to be replaced before the driver looses all brakes completely. Using the latest in anticorrosion brake line, we are offering a special to replace all of the brake lines on the vehicle. The job generally takes an entire day to complete.